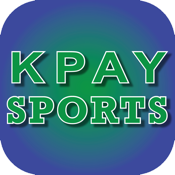 KPAY Sports is dedicated internet-based streaming channel for local sporting events from Chico, CA 95928 within Butte county in the United States of America US. Covering local Chico State University and Butte College mens and womens athletics: football, baseball, basketball and volleyball. Owned by Deer Creek Broadcasting LLC (DCB) and streamed world-wide through desktop player.